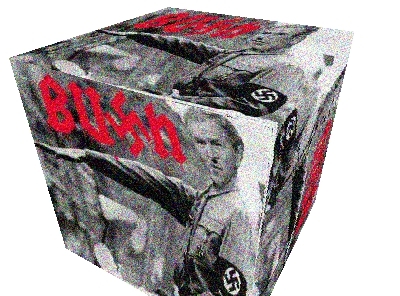 Buon giorno. This article has been buzzing around in my mind for quite some time, and I finally decided to put it down in pixels. But I do not wish to spend a great deal of time explaining the Appeal to Emotion because I am tired. There are certain aspects that I want to bring to your attention. Also note that this, like many other fallacies, is not simply cut-and-dried; it will often overlap with other fallacies, and sometimes it is difficult to spot at all. Other times, the appearance of a fallacy can be deceiving. For instance, when attempting to motivate people, showing a direct cause to what we want them to do will usually provoke an emotional response, and that can be valid. It is not evil manipulation or a fallacy. A good explanation of the Appeal to Emotion fallacy is here. Pride. Man up and do the debate. Ridicule. If you refuse to debate, Jesus will cry. Purpose. You could make converts if you do the debate. Fear. If you refuse to debate, I will mock you all over the Internet and tell your wife untrue things about you with those girls in Accounting. Pity. I really need you to do this debate because it will look good on my CV. These are more obvious plays to manipulate your emotions. Unfortunately, some people are skilled at the more subtle forms of manipulation. In fact, some have this dubious skill naturally, and may not even realize that they are being manipulative. Something that I want to emphasize is that people with a bumper sticker mentality (they can handle slogans, but are unwilling or unable to deal with more profound concepts) are easily influenced by labels. Brand someone with a label that has negative connotations and you can win over the weak minded to your side. One of the favorites of leftists in America is to call someone a "racist". Well, what does that mean, really? That you roll up your car windows and lock the doors when you drive past people of that ethnic group? Big deal. But the connotation is, "I'm gonna kill me some niggers/kikes/spicks/wops/gooks/honkies and I'm gonna love it!" Pick a word with angry, violent connotations and slap your enemy down with it, getting other people to hate him on your say-so. One of the most blatantly stupid attack labels is "liar for Jesus". It is immediately laughable to anyone with a grain of sense because it implies the accuser has some kind of Godlike power to know the thoughts and motives of the person they are attacking. Further, the phrase itself is nonsensical: Jesus does not approve of lying to get someone to believe in a holy, just, righteous God! It is obvious that this remark deserves a resounding "Duh!" for its utter absurdity. "Freethinker", "rationalist" and other atheistic buzzwords are emotionally loaded, with a built-in insult. That is, they are the rational ones by virtue of being atheists. This Genetic Fallacy conveniently ignores the fact that many of the world's greatest thinkers and scientists have been Bible-believing Christians. The following is hilarious because it involved several fallacies: Certain atheists managed to get themselves booted from creationists' "Pages" on Facebook. They whined in another page about "rational" people being kicked out, deviously using the Fallacy of Equivocation to imply that they were being sensible, the only reason for them to be kicked out was because of expressing their "rational" views. This appeal to emotion used both the Genetic Fallacy (atheists are "rational" just because they are atheists) and Equivocation (where "rational" has the usual meaning in the mind of the reader, but the atheists are being manipulative because they have their own meaning of the word). Sneaky, capice? One problem with labels is that it seems to be human nature. We like to categorize and identify people and people types in our thought processes. It's not possible to avoid all labels and connotations. Sometimes labels serve a useful purpose for our cognitive processes. My advice to you is to pay attention when someone is using labels. Watch yourself as well. When they contain emotional impact and manipulation, I think it's fair to suspect that someone is trying to manipulate you. Buon giorno. The "Question Evolution Day" project is now more ambitious. It is now "The Question Evolution Project". Yes, we're still going to be heard on February 12 (Darwin's birthday), but the page at Piltdown Superman and the Facebook Page are resources to encourage and provide information for those of us who do not think according to the dictates of others. We think for ourselves, capice? I've got some bad news for you, Sunshine, evolution is a bad philosophy. And no, it's still not a place for atheists and evolutionists to badger creationists and ID proponents. Troublemakers get banned. Bwahahaha! "What possessed you to write about Demonic, Cowboy Bob?" Thanks a lot. That was supposed to be my joke. As I've said before, doing book reviews is not something that comes easily to me. But non-fiction is easier than fiction because I don't have to be concerned with messing up the plot for someone. This is a "sorta" book review because (a) I'm late, comparatively speaking, and there are plenty of other ones out there (like so), and (b) I'm going to add my own thoughts and experiences, things that Annie, My One True Love, may not have thought about. 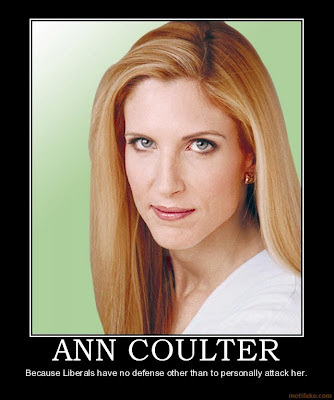 I have liked Ann Coulter's work for years. Even so, I do not agree with every stance she takes, and am not thrilled with each and every book. But this one, I am strongly recommending. 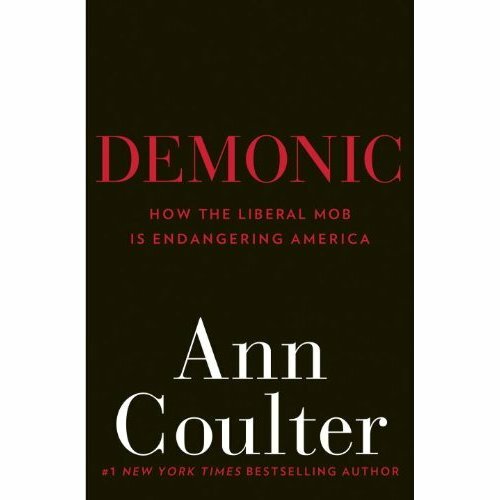 As expected, the writing of Demonic: How the Liberal Mob Is Endangering America is typical of what I expect from Ann Coulter. She has humor, insight, extensive documentation to back up her claims (she generously nails down her point about the way American liberals fawn over their politicians, for example), and she persists in her ability to needle leftists with the truth. Ann's perspectives on history and its application to her topic were rather amazing. If this book had been written before the insane animalistic "Occupy" movement, she would have had at least two more chapters. In fact, that exercise in obscenity can give her enough material for an entirely new book as a sequel, you savvy? After Ann gives us her observations, commentary and snark, she moves into the serious material. In 1895, Gustave LeBon wrote The Crowd , which describes the thoughts and actions of modern liberalism in America, and leftist politics in general. 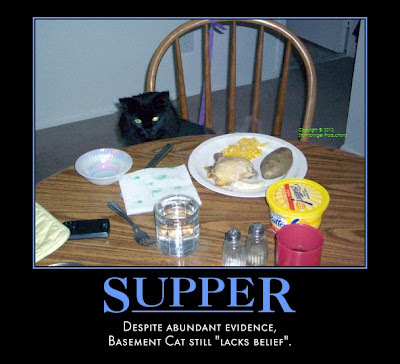 I have written extensively over the past year or two about logical fallacies, and how they are used by evolutionists and atheists patrolling the Internet. Therefore, it is easy for me to see that leftists use these same fallacies very frequently. (I have been frustrated watching or hearing a Conservative arguing with an American liberal and falling for their tricks.) There are very few atheist Conservatives, and I bet it would be interesting to have discussions with them. These liberals freely use the genetic fallacy, poisoning the well, ad hominem of course, appeal to motive, false dilemma and argument from silence, the obligatory straw man argument — like the Christophobes I encounter, they even manage to make up their own fallacies. I have no desire to be a part of a group that is dominated by hate and stupidity. When people think like a mob (which is the absence of thought, they just follow the leader), they are much more susceptible to manipulation. The above is a typical example of mob mentality. The Gospels inform us that Pilate tried three times to get Jesus released, but they preferred to have the murderer Barabbas released instead. And Pilate, being the stalwart and courageous governor that he was, gave in to them. It looks like mob mentality just keeps on growing. Liberals are statists, which means that "The State" is the most important thing. The place of the individual is to be a cog in the wheel for the state. There is no room for God, because believing Jews and Christians give him priority. Mobs rely on appealing to emotion, to sloganeering (just read the bumper stickers on a Democrat's car sometime for a reminder), and they rely on violence. In the French Revolution, 170,000 Vendéeans were murdered because of their religious beliefs. Ann Coulter describes in abundant detail the atrocities committed during the French Revolution. In the American Revolution, the colonists and the British respected each other. We had reason, planned efforts, organization and restraint, the French had the Reign of Terror. (Did you know that the Boston Tea Party was actually an embarrassment to the colonists? Ben Franklin insisted that the tea company be repaid for their losses!) Coulter proves how the mindless French mob cannot be legitimately compared to the American Revolution, despite the efforts of some to rewrite history and glamorize the French events. A fascinating section for people who like both history and philosophy was the way Ann Coulter compared the guiding philosophies of the French Revolution and the American Revolution. The French had Rousseau, while the American Founding Fathers were, for the most part, Bible-believing Christians (or, in today's parlance, "Raving Fundie fanatics"). Modern "Tea Party" patriots dislike the mob mentality. Their protests are orderly and clean. Mob-mentality protests of the left are characterized by noise, violence, mindlessness and trash. Leftists glamorize the French Revolution, conveniently ignoring the astonishingly brutal violence and murders of thousands while glamorizing atheism. Liberals glamorize the French Revolution, and mimic its mindless rage in many ways. Another feature of liberals is their fondness for cults of personality. When someone is recognized as a "leader" in a mob movement, watch for name calling, appealing to emotions, inciting violence and near-violence (which was also demonstrated quite clearly in the book) and other dirty tricks. I have seen this with both atheists and other leftists: If you cannot destroy the message through logic, use emotion and ridicule. Then, attempt to destroy the person behind the message. Mock, hate, malign, castigate, selective-cite, misquote, outright lie — I've seen it all from atheists attacking Christians and from leftists attacking Conservatives. Ann points out that the left not only excuses the actions of psychotics, but praises them and gives them teaching jobs. Several dangerous criminals were inexplicably pardoned by Bill Clinton (with Eric Holder's help) during his last days in office. She lists some of the rotten things that liberal approve of and actually do, including violence and insults, that you do not see Republicans and Conservatives approving. Our side has voluntary resignations, their side has "circle the wagons" mentality unless it is politically expedient to trash someone; Liberals celebrate outrageous and immoral behavior. This happens while desperately seeking slur, but it seems that Republicans act up far less than leftists. The "Intellectuals" (read: leftists who act superior, use big words and detest you and me for having faith in God instead of the state) praise the left and their own kind, and use ridicule to enforce that they control the leftist mobs. Mob mentality is irresistible to people with a need to feel popular. People follow along with their bandwagon convictions, not out of real convictions. There is an emotional co-dependance to build each other up. There is also pressure, humiliation, ridicule, snobbery, bigotry, threats and more to keep people in line with groupthink. The "Intellectuals" remind us, "You're not as smart as we are. We know best. Do as we say". I have had this kind of experience when people demand to know my credentials when I say that evolution is untrue. They appeal to the "scientists" who "know more than you do", and expect those of us who disbelieve in Darwinism to just swallow their "facts" without question. In either case, they put others down to build themselves up: "We believe the right things, you're a doo-doo head!" 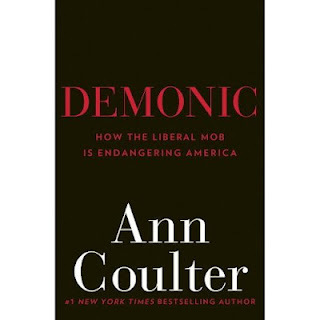 Again, I highly recommend Ann Coulter's Demonic. I hope you'll come right back here and see how my own observations support hers. Ann, the next time you're in upstate New York (only two hours north of NYC), call me, OK?